What are the differences between the various types of martial arts? What exactly am I enrolling my child to do? We’ve been receiving a lot of calls from parents who would like to enroll their children in a martial arts program, but they do not know the differences between the types of martial arts. 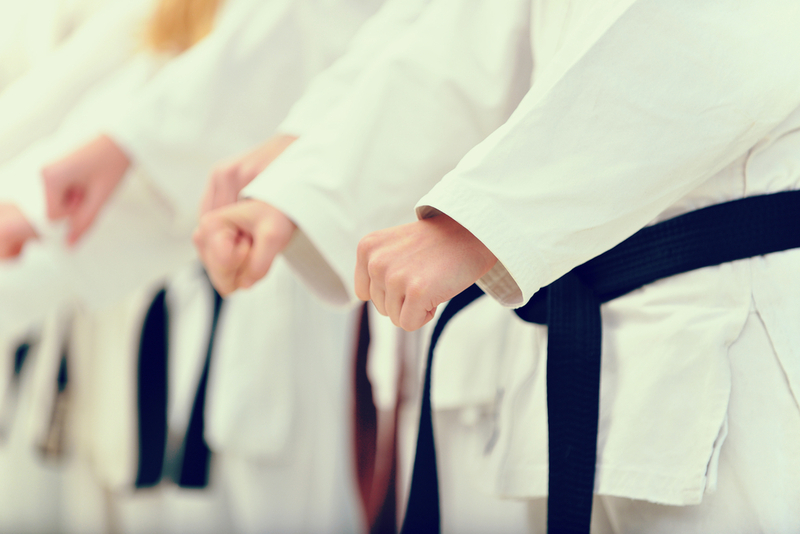 If you are a parent searching for karate classes in Fort Lauderdale, it is important to know there are many more options! Here at American Top Team, many parents call and enroll their children thinking they will be taking typical karate classes for kids, when their child will be learning a different type of martial arts entirely. In this article, we will try to explain the differences as well as what we teach our children here at the gym. Judo was created in 1882 by the physical education professor Jigoro Kano in Japan. It is a Martial Art created for self-defense, developing the body, soul and mind. Its technique uses basically the strength and weight of the opponent. In a simple way, the creator of Judo discovered that any person can throw another without using a lot of strength. Jiu Jitsu is similar to Judo, except it takes place “on the ground” instead of standing. It is a lot like grappling combined with submission moves. Also like Judo, it was created in Japan. But it was refined in Brazil, where it evolved into the martial art it is today. There is no use of weapons in its practice. This type of fighting style is considered the basis for modern combat sports. It is a Martial Art developed at Ryukyu Islands, Okinawa, in Japan. It alternates punches, kicks, knee, elbow and open hand techniques. It is classified as an American free style fight, which fighters compete without weapons. Wrestling is a type of sport where one competitor tries to defeat the opponent without attacking him with any type of weapon. Judo, Wrestling and Karate techniques are used in the Jiu-Jitsu class at American Top Team FTL so your child may learn some of them. Master Junior Fernandes (children’s class head coach) started his career in Martial Arts with Judo. Today, he teaches the basic techniques of Judo and Jiu Jitsu, which are essential for showing kids the proper, technical way to “fall.” He also uses karate techniques as an important mental conditioning for the children, helping to control their impulses, while teaching respect and discipline. On Fridays the classes are “Kimono-free,” so the children can practice wrestling and learn falling techniques, which are important to improve their jiu-jitsu. Our Jiu-Jitsu program offers other martial arts’ techniques to improve our future champions’ learning process. The classes are divided by age and level (belts). At American Top Team, we follow the Jiu-Jitsu Federation standards (more info can be found here). We hope that this has been helpful and enlightening. Our purpose in teaching martial arts to kids is so that they may become complete human beings and learn principles that will serve them well into their adult lives. If you are interested in starting your child in martial arts classes, sign up for a week of free classes to see what it’s all about!